Fouesnant aan de kust bestaat uit drie zeeinhammen vroeger visserdorpjes Cap-Coz, Beg-Meil en Mousterlin. 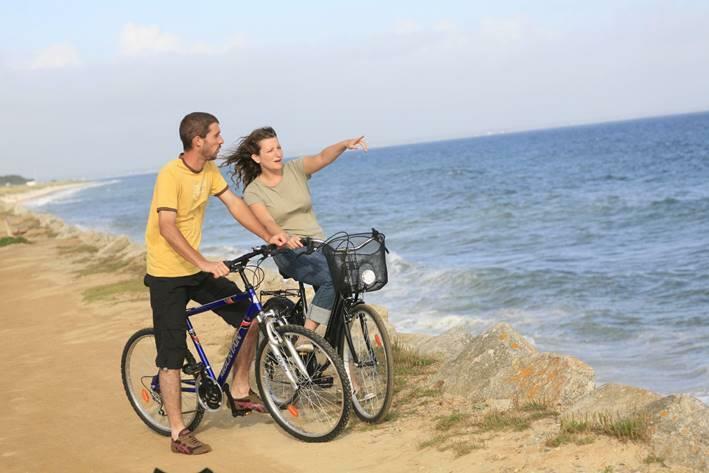 We are located in the heart of a nature conservation area facing the islands of Les Glénan, with direct access to a sandy beach (100m) and surrounded by numerous hiking trails. 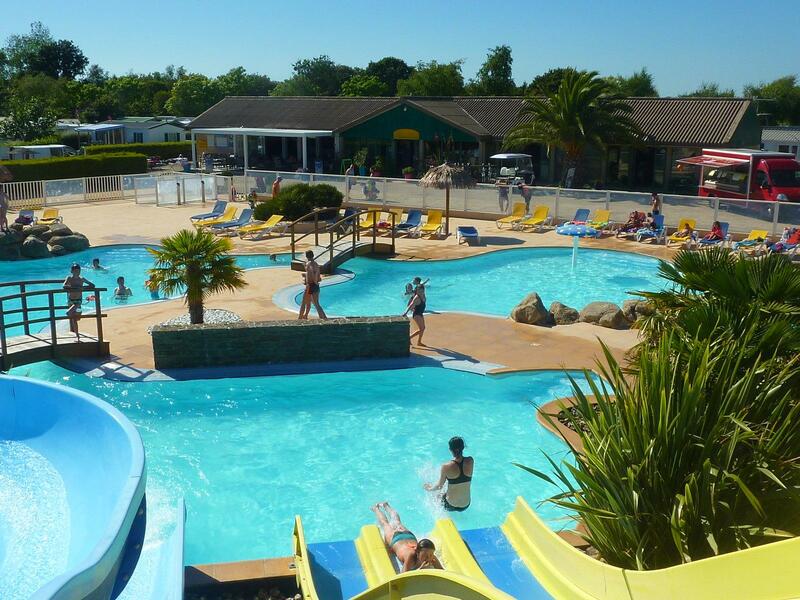 This family-friendly 4**** camp ground has 156 places (52 rentals) spread over an area of 3,5 ha. 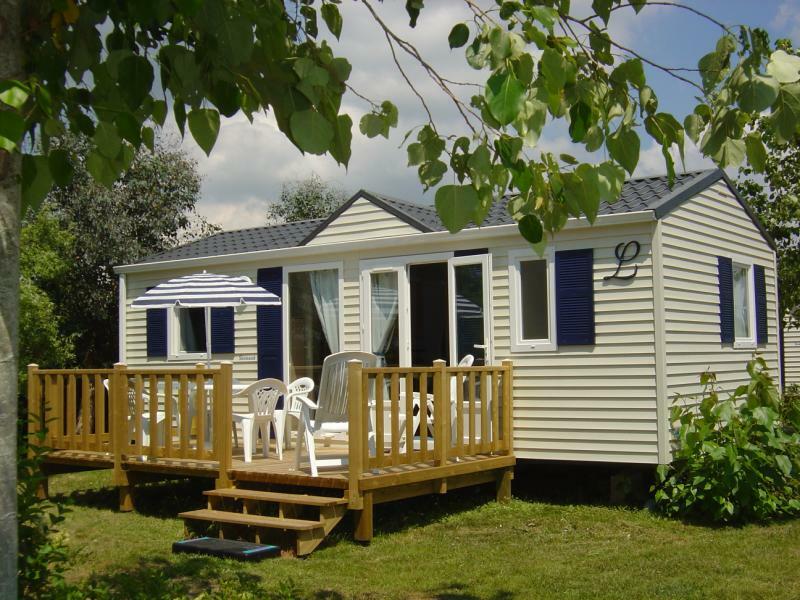 We welcome guests with tents, caravans, camping vans and we propose a wide range of accommodations on site:" mobile-homes "," roulottes" and "chalets. 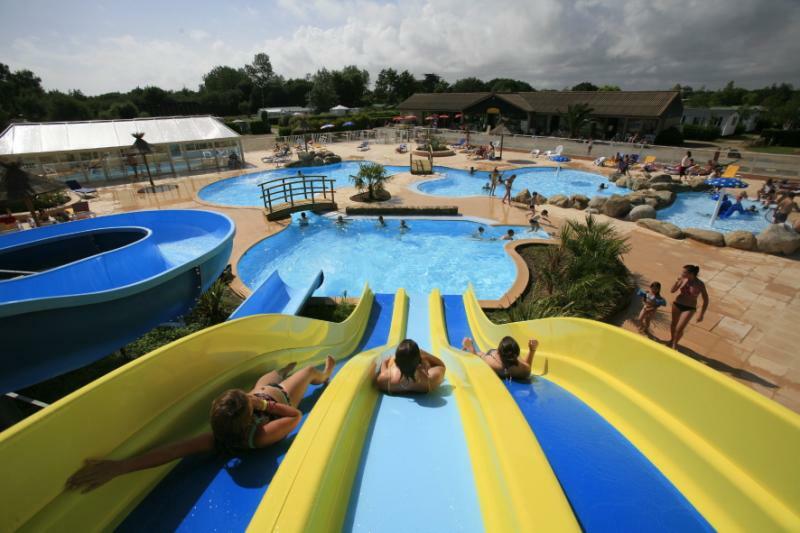 If you please, you can enjoy a relaxing family time in our water park with its pentagliss or take part in various activities that are offered in summer.